The Tennessee bill that would forbid middle and elementary schools from providing "any instruction or material that discusses sexual orientation other than heterosexuality," was approved by a Senate committee 6-3 yesterday and will be voted on by the full Senate. 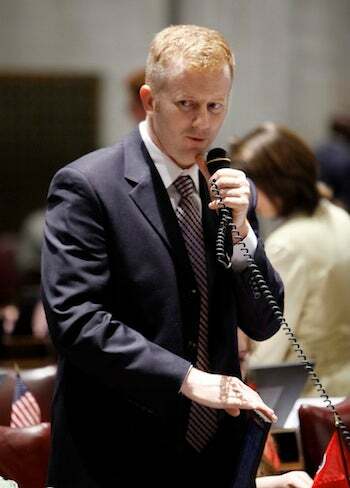 Senator Stacey Campfield, who introduced the legislation, says the bill is "neutral," adding, "We should leave it to families to decide when it is appropriate to talk with children about sexuality-specifically before the eighth grade." Unless of course, schools want to educate kids on heterosexuality. Earlier: Conservatives Will Win Battle Against Homosexuality By Banning The Word "Gay"